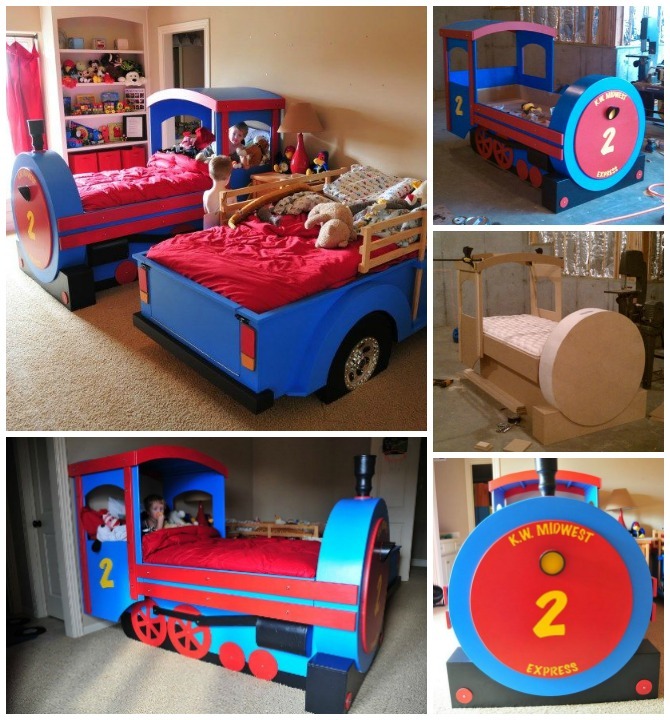 This DIY train bed is so cool and decorative and will be such an amazing addition to your nursery room or bedroom of your little ones. It is so well designed and looks from boutique collection, and guess what they are made from recycled wood!! There is enough space for your baby to sleep or play inside and also there is a dresser with baby changing top at its back. 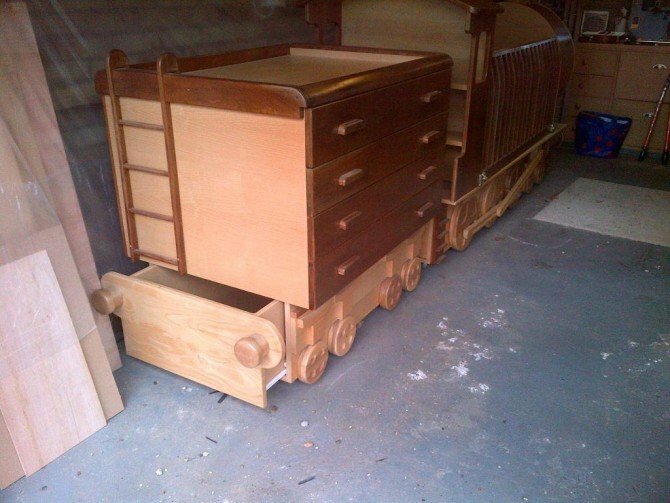 You can recycle those old baby changing dresser and cribs directly by making the train base only. The original designer Raymond shared his very own woodwork construction of one of Ted’s Bed/Cot Plans in the woodplans. 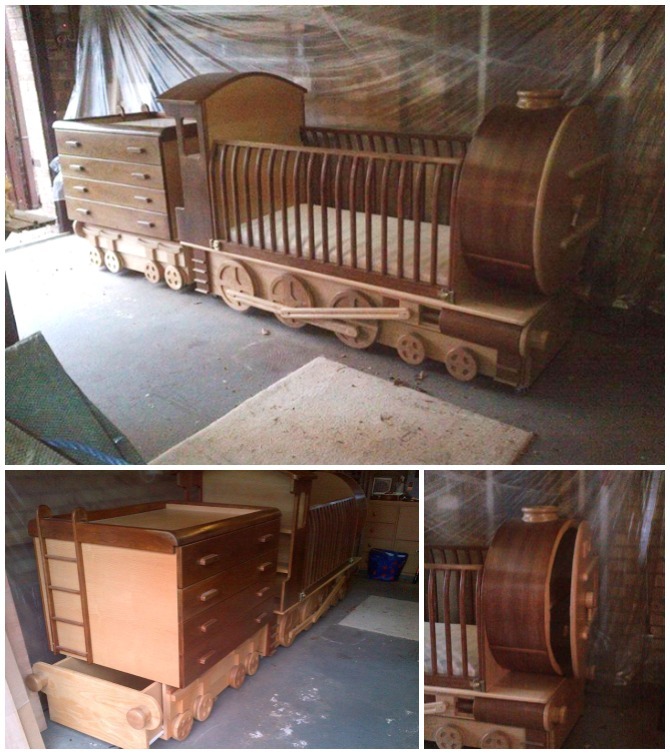 This amazing train bed was cut, glued and screwed all from reclaimed wood that Raymond had following the demolition of an old barn from his fathers house. He also attached a front nose cabinet for extra storage and an extra big dresser onto the detachable rails to the bed section. 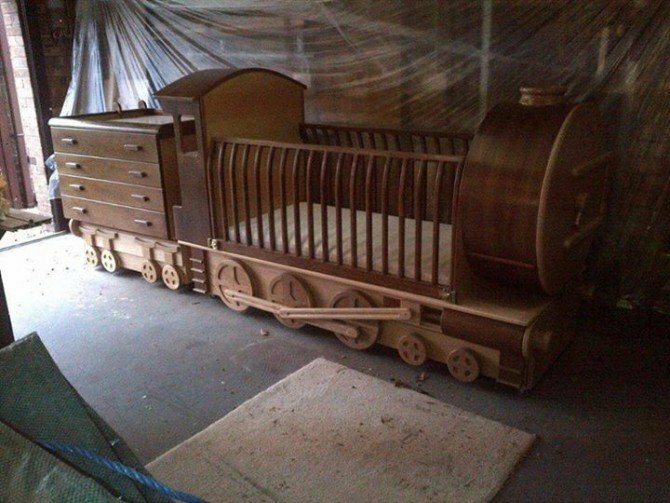 So when your child will grow, this cute train crib can turn into a kids bed and will be a great piece of decoration in his or her room. What a brilliant work! The DIY Moon Cot Baby Cradle Crib (with Free Plan and video instruction) is another wonderful gift you can make for your new family members. 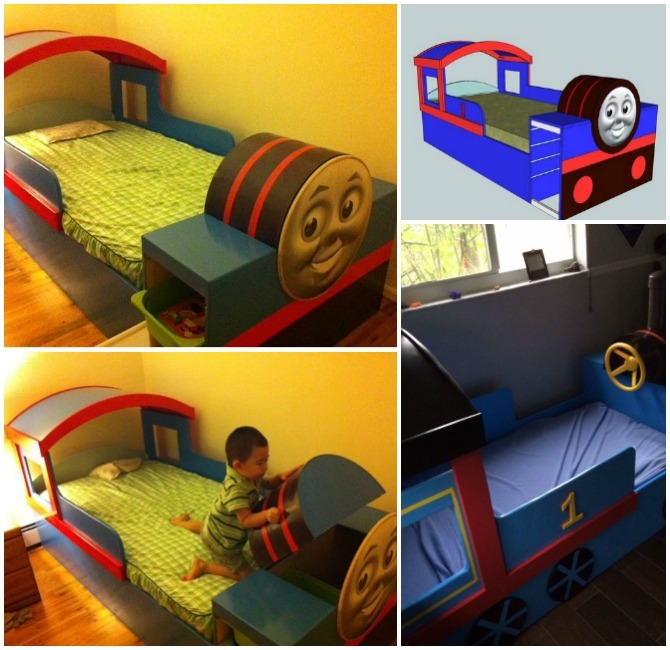 Here is a great tutorial from Instructables.com showing how one amazing dad made a train bed for his son. It’s really impressive !